Claude Buckle a view of the main entrance to Cardiff Civic Centre. 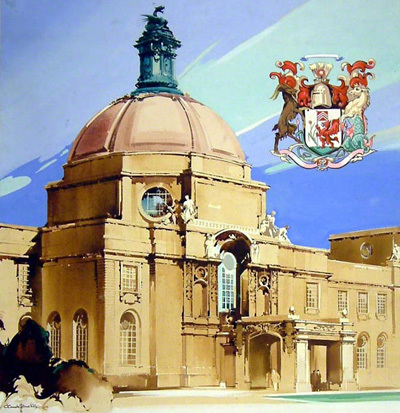 Cardiff Civic Centre a fine example of an architectural railway poster to illustrate the Claude Buckle technique for painting buildings. Created in 1948.